Stack and building indoors or outdoors in water, sand, etc. Hard non toxic plastic in multiple colors. Use to build sand castles in the sand. Draw with chalk on the outside for children to write letters of the alphabet, pictures, numbers, etc. 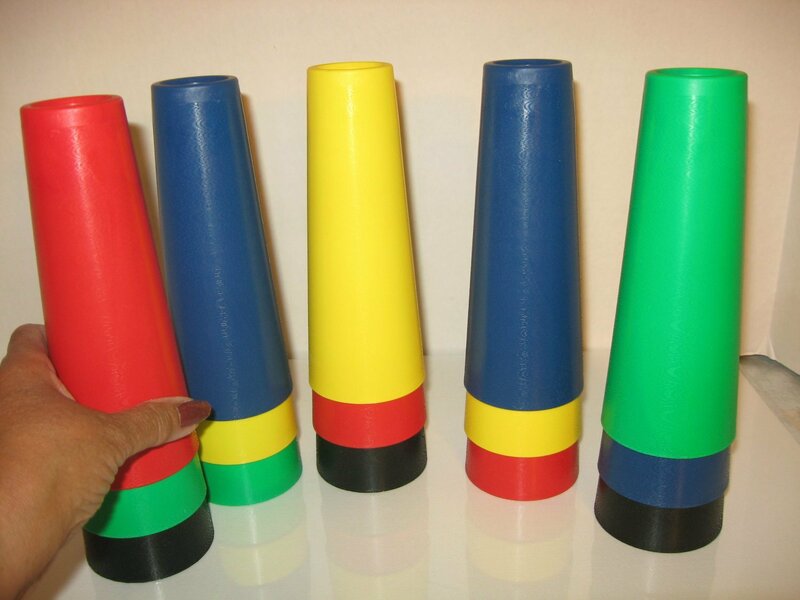 Wash off and reuse cones. Good for hand and eye coordination, and games like bowling. Use cones as pins and use a tennis ball or lighter ball and roll to knock down. Use in craft projects like making trees, Egg head people, train accessories, use with other building sets. Accessories NOT INCLUDED IN SET.